Smooch and I have decided we'd rather take our chances walking home in the dark than go out in the heat of the day. She wonders why I'm sprawled out in the dirt taking her picture and is grateful that only the cows are around to witness this lunatic behavior. To see what else might be happening under the full moon this week, check out the links on the Skywatch home page. 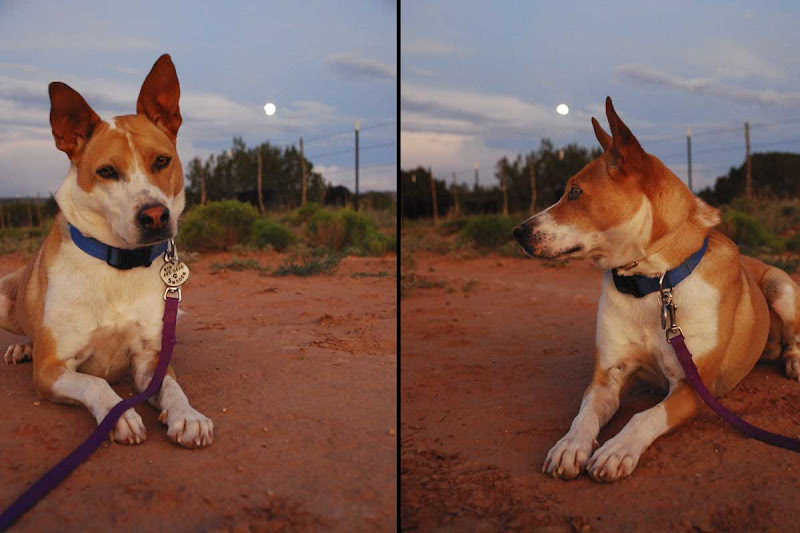 Thanks for a taste of my old New Mexico with moon and basenji! Beautiful moon shot. On my own, I never would have wondered about how it might look from the NM red earth, but now I'm glad I know. smooch looks quite beautiful in the first profile shot. and i can't blame you for waiting til it cools off to walk. this is pretty nifty to see this perspective... it's like a bug's view and seeing the moon shot in the background is fantastic!!! To see Skies over the Marsh, Click here. Beautiful night views. And why would Smooch think you're a lunatic at this late date...doesn't she already know you are. Be careful out there at night, lots of creepy crawlies like the cool air too. But I'm sure you knew that. Smooch looks beautiful and peaceful at the moonlight! What a beautiful and clever face! The moonlight makes her portraits so special. Sprawling was definitely worth it. I love moon shots. These are great. Smooch doesn't seen too awfully bothered by your actions. 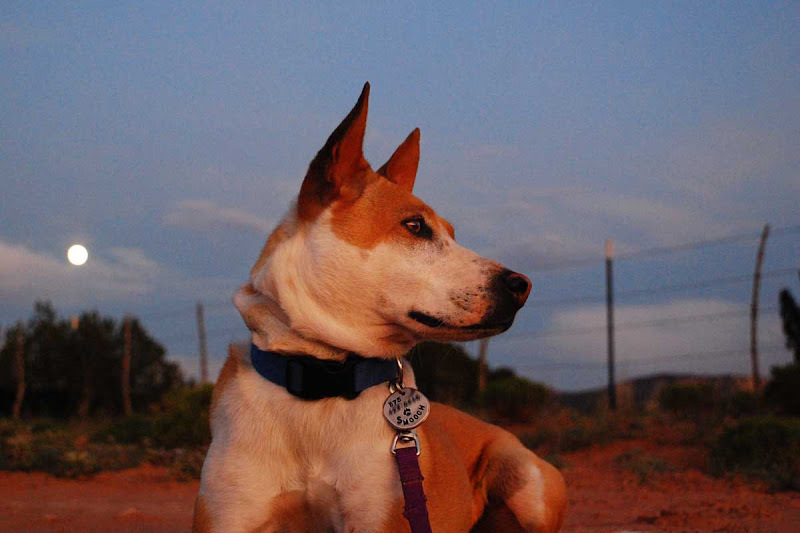 She's such a pretty girl and the moon behind her is awesome. Still hot out there, huh? On your walks at night, be on the lookout for Mars which will be closer to EArth than ever in Human History! By late August, it's supposed to look, to the human eye, as if it's almost as big as the moon. It's already pretty spectacular. It's so bright out when the moon is full. Kind of fun to be outside walking around in the moonlight. Last night, there was a coyote moon serenade. What a wonderful choice of photos for Skywatch. You are an inspiration. I love your pictures, something beautiful to look at. :) What kind of camera is that? Down in the dirt. My, what dedication! I am sooooo honored to call Smooch a friend now. She is such a sweet gal! Excellent shots of your pup, I also love your new header photo, its fantastic. Did you both bay at the moon? I have just recently found your blog and your pictures are so good. 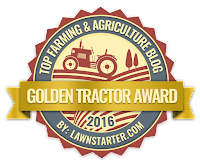 Your blog got me started on skywatch and I posted my first one this week. Thanks for that and give everyone a huge scritch from me! Smooch is such a great Beauty...! She has an elegence about her and a sweetness, too! Lovely to walk at night when it is a bit cooler, I would think. Smooch is such a rock star!